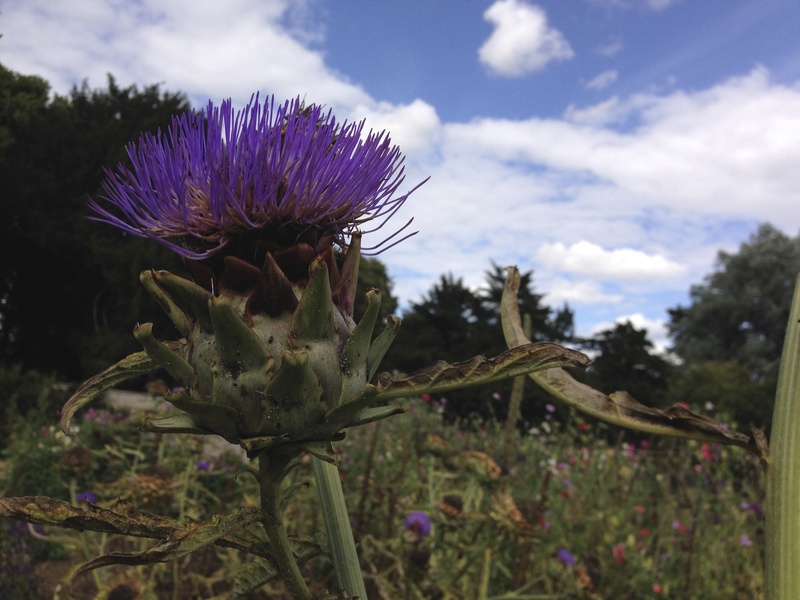 Globe artichoke in the vegetable garden at Rousham. In 2014 A. D. at Rousham Park the flowers appear serenely beautiful. Seal Intestine Raincoat. Pitt Rivers museum Oxford. Thirty years ago I walked into the Pitt Rivers Anthropology Museum in Oxford, England and saw something that I have never forgotten. The museum is a delightfully gloomy place, crammed from floor to ceiling with artifacts collected from all over the world, all packed into glass cases and labelled with tiny paper tags handwritten in ink. At the end of a narrow corridor I noticed a strange piece of clothing displayed inside a cabinet. 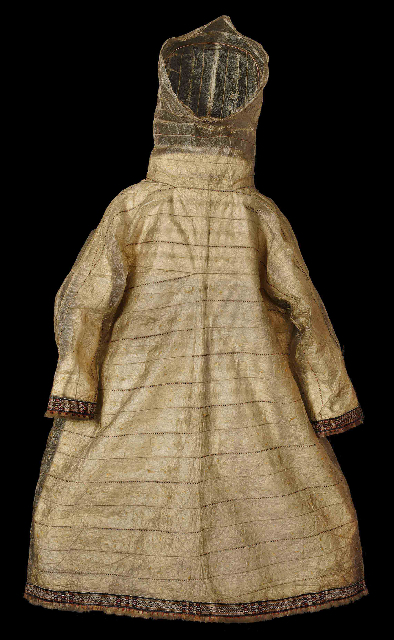 It was a coat – pale in colour, crumpled and translucent – and although over a hundred years old looked as though it had been stitched with an electric sewing machine. 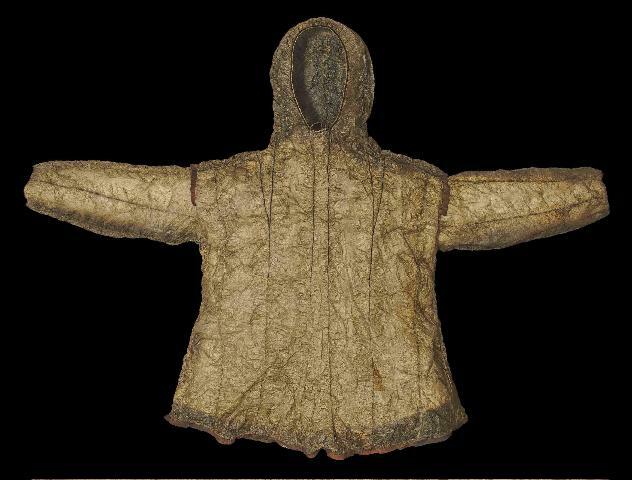 It was made by a person who lived in one of the coldest and most isolated parts of the world, a Canadian Inut. It was a seal intestine raincoat. In 2005, after immigrating to the Canadian prairies, I renewed my interest in the Inuit culture when I visited the Manitoba Museum of Man in downtown Winnipeg. I felt over-awed by the precision and ingenuity of the arctic clothes displayed there, so beautifully made, so perfectly adapted to an extreme environment and so expressive of the Inuit survival philosophy. My arrival in Winnipeg coincided with the energy crisis of 2005 during which crude oil prices broke through the psychological barrier of $60 dollars a barrel for the first time and the cost of petrol soared in many parts of the world. Prices at the pumps in Winnipeg rose daily over several weeks, and as I drove through the city I began to think about how dependent we have become on a resource over which we have no control. My first novel, Seal Intestine Raincoat explores two extremes, juxtaposing the dependence and relative frailty of modern city dwellers with the independence and adaptability of traditional arctic communities.